The Cloud Software Association held their annual SaaS Connect Conference in San Francisco last week. The Cloud Software Association is a network of cloud software vendors, resellers, distributors, and platforms led by President Sunir Shah. This conference focuses on how to build your partnerships and encourages collaboration. This was CodeScience’s second time attending the annual event. Clearly, it’s getting bigger and better, with a gamut of software companies in their infancy to well-established veterans of Silicon Valley. One common theme to establishing your successful partnerships: there is no “one size” fits all recipe for success. Your chosen path to a successful partnership will most likely experience lots of trial and error. Of all the sessions held during the week, there was one thing every speaker could agree on — the key to successful partnerships is ALWAYS built on trust and transparency. Much like personal relationships, business relationships and partnerships must have a level of trust to ensure a positive outcome for both parties involved. Will the path of your partnership always be filled with roses? Absolutely not, but be sure to tell the partners of the thorns before they feel them on their own. What else will ensure a successful partnership? Enabling your partners to be successful! Co-Founder and CTO of Rainforest QA, Russel Smith, offered great insights during his presentation, “Building High-Quality Platforms.” Your “Go-to-Market” strategy with each partner is CRITICAL to their success with your program. How have you enabled your partner to be successful? Have you made it easy to understand? Are your pricing and technology easily understandable and digestible? Remember, your partners have a business to run and customers to take care of outside of your partnership. You want to make it as simple as possible to work with you. You want partners in your program to see a return on their investment and empower them to support their customers. A veteran of Silicon Valley, Avanish Sahai is the Global VP of ISV and Technology Alliances at ServiceNow. His session, “My Decade of Building Platform Ecosystems: From Salesforce to ServiceNow” was, as expected, phenomenal! Avanish is known for his quiet confidence and leadership and offered truths to common myths in the software industry. One example — don’t be discouraged by big acquisitions. Many companies who have been acquired serve a certain segment of the market. Focus your solution on a targeted market because there can be room for more than one provider (think of the CPQ space in the Salesforce ecosystem). Another myth addressed was thinking an Enterprise company would not be interested in purchasing from a start-up. Sahai gave examples of how each of these myths and “roadblock” thinking is the exact way to NOT approach a partnership. Lastly, he answered the question, “What platform is right for you?” To answer, look at your customers and look at what each platform has to offer. What makes more sense for your target market? Sure, starting off with one platform may make sense, but what about the future? Don’t think in such a linear matter that it has to be ONE platform. A multi-platform approach may be a key differentiator to success. Head of EMEA and Americas Partner Engagement of Member Acquisition for Netflix, Lindsay Grossman, shared her career path — and what an evolution of a career! Grossman started in politics. There she navigated the world of global policy that eventually took her into the software world with stops along the way at Intuit, Stripe, and finally landing at Netflix. What she conveyed is a variety of experiences is often a great asset in the world of partnerships. If you are looking to jump into this world, don’t be discouraged by what you may perceive to be a lack of experience. A diversified background can often be a powerful weapon in navigating a career in partnerships. Much like Grossman, President of LiveRamp, Anneka Gupta, started off as an engineer at LiveRamp and ventured into four different (and fascinating) positions at LiveRamp before landing at her current role. Her story is a testament to how varied experience can often be valuable to a company. SaaS Connect is always a good opportunity to learn more about how partnerships and alliances continue to grow and change. I look forward to applying these learnings to my own work, and I cannot wait to be back next year! Interested in learning more? 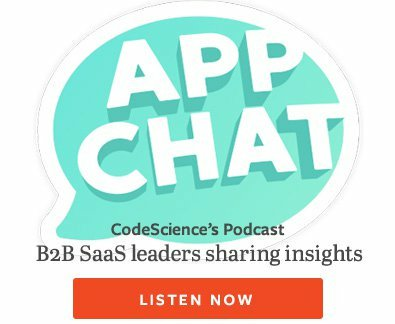 Be sure to contact CodeScience to discuss your future path to partnerships in the Salesforce AppExchange.